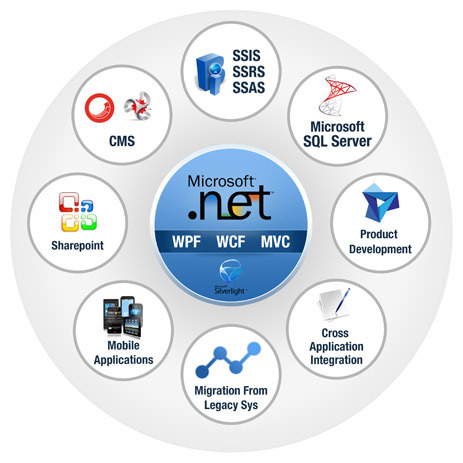 (1) .NET Desktop and Web Application development. (2) .NET Application Maintenance and Enhancement. (1) Single source of technical solutions for all problems. (4) Overall lower cost of total software life-cycle development. (1) Platforms (Windows, SQL Server). (2) Development & Design tools (Visual Studio, Team Foundation Server). We leverage our domain expertise, business consulting skills and technology competence to provide innovative custom solutions to our clients.